When you are in the process of recovering from infidelity, it helps to devise a phased and workable plan that you can put into action to survive the infidelity and heal from the pain. Aside from shredding your relationship with and trust in your spouse and your sense of peace, adultery can also be very overwhelming to deal with since you have more going on in your life than just the affair. 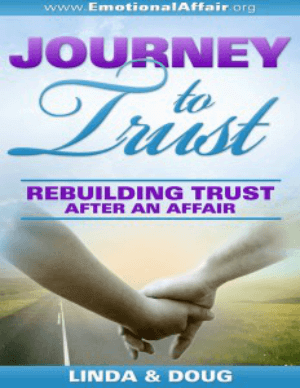 An affair shatters the trust and feelings of an unbreakable bond in your marriage. In order to survive the affair and restore the trust in your relationship after cheating, you and your spouse need to commit to and also make a conscious effort to do things completely different from the way it was before the infidelity happened. That involves being completely open and honest about every aspect of your individual lives. Meaning no more secrets, half-truths or outright lies. When infidelity strikes in your relationship, you are faced with what may seem like overwhelming problems. It may seem like you are in a no-win situation. Healing after an affair for the loyal spouse can be very challenging because of having to deal with the onslaught of negative thoughts, emotions and the loss of trust in your partner. For the two of you to move forward certain concerns need to be addressed and sorted out. Part of the fall out of dealing with infidelity in marriage is the new challenges that it creates for the couple in crisis but especially for the cheated on spouse. It would seem that life would be a whole lot better if people spent more time trying to make their marriages better instead of looking for greener pastures elsewhere. Here are some of the challenges that you might face in your relationship after an affair. It can be a real slap in the face to find out that the person you loved and thought you new is a cheater. The affair has taken away your stability and your belief in everything you thought was good. You find yourself struggling to believe what your cheating spouse says, while also struggling with your own internal thoughts and feelings. When dealing with infidelity, it is normal to feel certain negative emotions such as anger or feeling needy because your self-esteem is in the toilet. However, if you want to save your marriage and your sanity, you really want to try and lean how to manage these crippling emotions.